The loafer is a moccasin-inspired shoe that is most recognizable for being a slip-on style. The loafer was originally intended as a casual house slipper made for King George VI of England. The loafer was neither acknowledged nor popular as a casual shoe until the King’s slippers crossed the pond. Manufacture of the loafer in the United States was underway in earnest by the 1930’s. It kept its status as a casual-only shoe until the 1960’s when American businessmen and lawyers began wearing loafers with suits. In 1966, Gucci introduced the bit loafer. This variant features a metal strap (in the shape of a horse’s bit) across the instep. Gucci’s innovation further elevated the loafer’s status as formal footwear — or at least confirmed that this was not strictly casual. The loafer often features a saddle — a decoration that might be a plain strap, a strap with a slit (as with penny loafers), or a metal ornament. Tassels or a kiltie might hang from a saddle, while the minimalist version (the Venetian) has an exposed vamp absent embellishment or ornamentation. 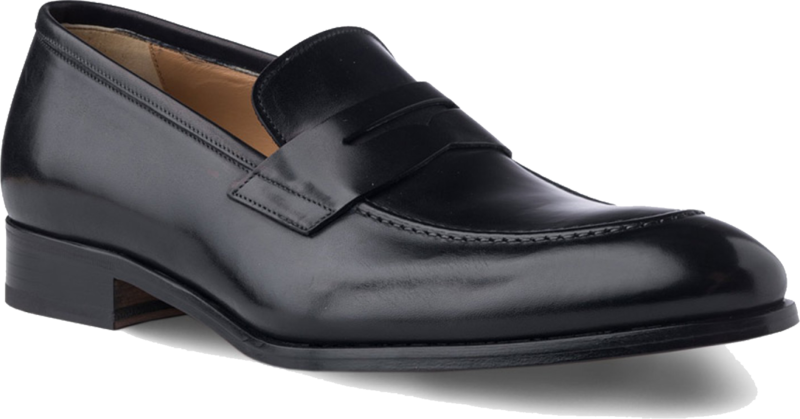 A signature characteristic of loafers (especially those nearer to a moccasin than a regal slipper) is an elevated seam that runs along the shoe’s toe. 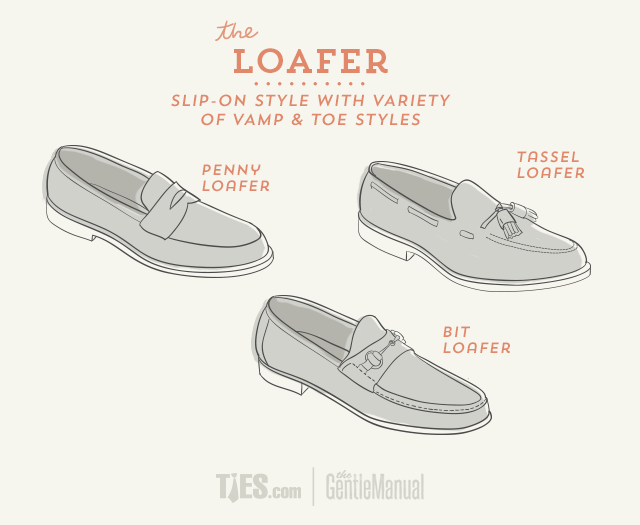 A very casual variant of the loafer is the driving moccasin or driving shoe. These are often made of softer materials, are less structured, and have soles and heels made to optimize wearer-comfort while driving.